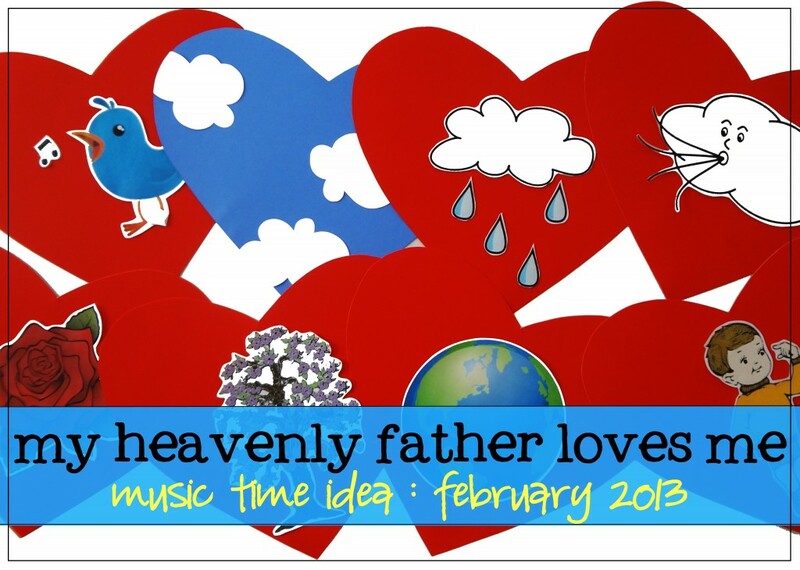 when i saw that february’s song-of-the-month for primary was “my heavenly father loves me” i couldn’t help but think how appropriate it was for this exact month, considering valentine’s day and all. when you think about kids making heart-shaped valentine’s with heart-felt messages for their friends and family to show them how much they love them, isn’t it kind of like heavenly father giving us things to show us that he loves us? this song talks about all the things heavenly father has given us in this world to remind us of him and how much he loves and cares for us and wants us to be happy. and so when i list off all these things in the song, i consider each one to be like a “valentine” from him – something he’s given us so that we can know that we are loved. so to teach this song in music time, i made a “valentine” (a heart cut out of red [or blue in one case!] poster board) for each thing listed in the song. then i went online to try and find free graphics to fit the item. it took a little bit of time, but i was able to find what i was looking for! here’s a site that i used – it has lots of free graphics you can choose from. first, i introduced each heart and the words for that line, and then had them repeat it a few times. then i had 8 kids come up to the front and arrange themselves in order (everyone helping to get the order right, of course). then we said the words to the first verse one more time through for good measure, and sang the song. they did great! key words are fabulous in helping them remember the words to songs. by the way, if you then sing it with bubblegum ben, you’ll be surprised at how well they actually do to catch on! wow. as soon as i pulled him out, they were singing SO loud – and with all the right words!! now on to find some graphics for verse 2 next week…. I love this!!! Can you by chance email me the word doc? [email protected]? Hi Michele! I’ve just added the doc to the post above, so you should be able to click on the link and download it. Thanks! Beautiful!!!! Thanks for sharing. And its a great song to teach kids. I cried when my 17year old said she didn’t know it. thanks! it is such a great song! i’ve always loved it! The link isn’t working. Maybe you could email me the word document as well. Hi Mary! 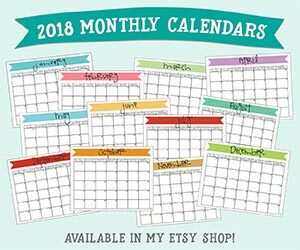 I’m so sorry the link isn’t working anymore 🙁 I’ve tried to just post any printables directly from the applicable blog post since this post was done. Unfortunately, I put this one together on my old, broken computer a few years ago and I can’t access it anymore! 🙁 🙁 🙁 But, the link to the site where I got the pictures is in the post, so if you go there and do a search for the pictures you need, you should be able to easily recreate it! Thanks for visiting my blog, and I’m so sorry for the inconvenience.